My wife and I when booking accommodation for our holidays look for a clean well appointed place that we can use as a base, the Alexandros is definitely a place that suits us! If the price of our stay was double what it was it would still be tremendous value for money!the views are what dreams are made of! The hosts Dimitris and Cleopatra and their children are the benchmark that all other hosts should aim for, absolutely brilliant! Amazing hospitality and thoughtful touches by the wonderful hosts. Highly recommended and we will be back! We loved everything from the beginning. Dimitris and Kleopatra were great hosts, they treated us with some traditional greek food and drinks, took care of us the entire holidays. They even prolonged the check out as we had a late flight. Thank you for everything! What a fantastic home-from-home! 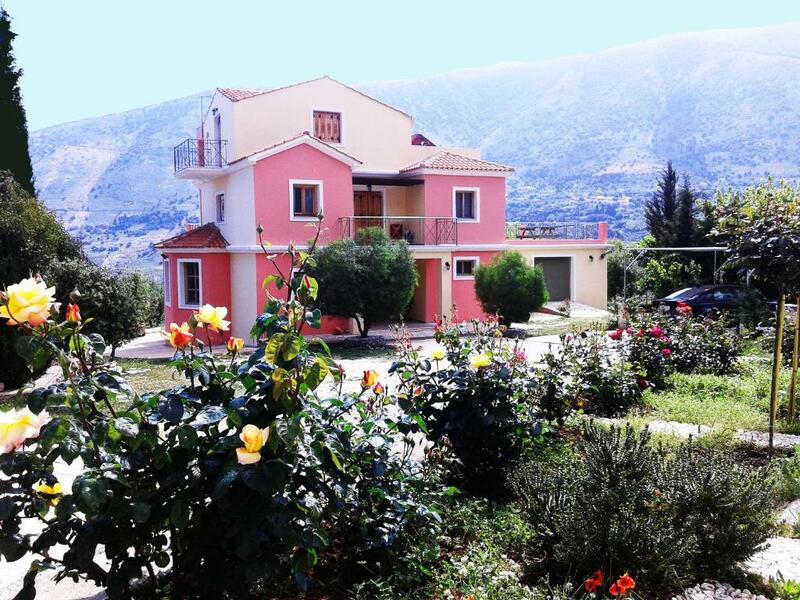 Perfect location, house and wonderful hosts - who made sure that we sampled the best of Kefalonia. Friendly, knowledgable and able to help out with local information, 'Alexanderos Apartments' has a great way of looking after its guests - including some fantastic, traditional Greek food - hot pastries and fresh local bream... Thank you so much for a wonderful stay and introduction to Kephalonia. The hosts were amazing! The property was fantastic, clean and spacious with the most beautiful, stunning views from the numerous balconies. Hot pastries sent up to us in the morning before we left. Minden. A háziak kedvesek, segítőkészek, állandóan megleptek vlmi kedvességgel, de közben észrevétlenek voltak. A tisztaság kifogástalan, a szállás kényelmes volt, a kilátás gyönyörű, alattunk volt a sziget egyik legszebb partszakasza, mögöttünk hegy, így kirándulni, futni is kitűnő terep. Nincs tömeg. Die Gastgeber waren sehr freundlich und herzlich. Sie waren jederzeit ansprechbar und haben uns gute Tipps gegeben. Wir wurden von Kleopatra mit griechischen Köstlichkeiten verwöhnt. Wir haben uns in diesem Haus sehr wohl gefühlt. Wir haben die vielen Balkone in alle Himmelsrichtungen genossen. Die Betten hatten sehr gute Matratzen. Wir hatten viel Spaß bei einer Motorboottour mit Dimitris die man bei ihm buchen kann. Wir können die Wohnung nur wärmstens empfehlen. Les hôtes sont vraiment sympathique et au petit soin, le logement est magnifique, la vue panoramique des terrasses de partout. Les hôtes vivent au RDC, le logement de situé au deuxième et troisième etage avec entrée indépendante. Optez pour le petit déjeuner qui est préparé par kleopatra, copieux et excellent. Fin avril début mai, est une très bonne période pour visiter la Céphalonie. Надо признать, что хозяева (Димитрис и Клеопатра) подняли планку гостеприимства до небывалых высот - такого домашнего, дружелюбного и, при этом ненавязчивого сервиса, ранее не встречали. Большое спасибо за отдых, впечатления, общение. Сами апартаменты очень большие, комфортные, оригинальные по планировке. Деревенька Зола - тихое и спокойное место для проживания, но при этом в 15 мин езды находятся чудеснейшие пляжи Миртос и Петани, а также городок Ликсури. Димитрис проводит замечательные морские экскурсии на собственной моторной лодке по местным маленьким пляжикам и гротам-пещерам, Клеопатра чудесно готовит (комплиментные угощения), а также попробуйте заказать греческий завтрак - получите огромное удовольствие. Однозначно рекомендую! 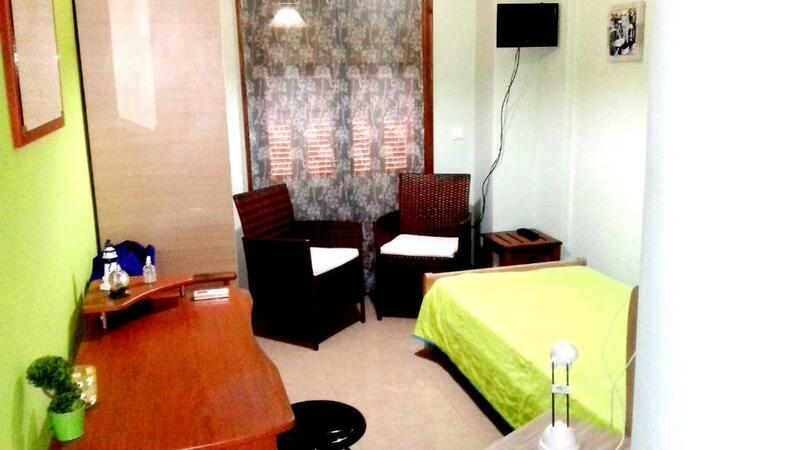 Lock in a great price for Alexandros Maisonette – rated 10 by recent guests! 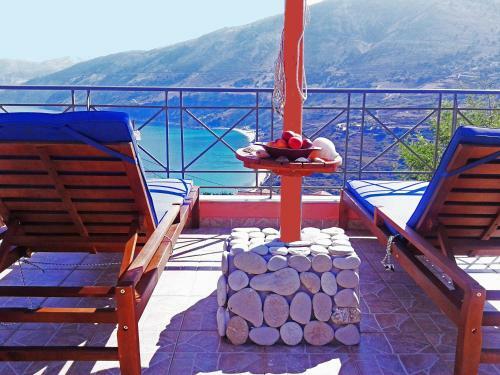 Alexandros Maisonette is a self-catering, split-level property located in Zóla. Free WiFi access is available. The property offers 7 terraces. The bathroom is stocked with a spa bath. Accommodations will provide you with air conditioning, a patio and a terrace. There is a full kitchen with a microwave and an oven. Featuring a bath, private bathrooms also come with a hairdryer. You can enjoy sea view and mountain view. At Alexandros Maisonette you will find an airport shuttle, a garden and barbecue facilities. The property offers free parking. Kefalonia Airport is located 13 mi away. This property also has one of the top-rated locations in Zóla! Guests are happier about it compared to other properties in the area. This property is also rated for the best value in Zóla! Guests are getting more for their money when compared to other properties in this city. When would you like to stay at Alexandros Maisonette? Located on the 1st and 2nd floor, this apartment has a dining area and rooms connected via a staircase. 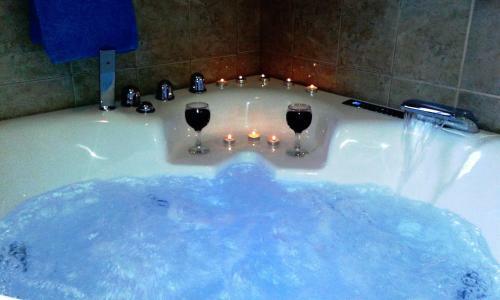 Its private bathroom is stocked with a spa bath. Πρόκειται για ένα ανεξάρτητο διαμέρισμα μεζονέτα που περιλαμβάνει όλον τον 2-ο και 3-ο όροφο βίλας. Εχει επτά βεράντες σε όλες τις κατευθύνσεις με απεριόριστη θέα σε βουνό και θάλασσα, κατάλληλο για μικρή ή μεγάλη διαμονή ιδιαίτερα σε οικογένειες. Μου αρέσει το διάβασμα, να βλέπω ωραίες ταινίες. Επίσης οι εκδρομές τα ταξίδια.Τα καλομαγειρεμένα φαγητά για την οικογένεια και τους φίλους-επισκέπτες αποτελεί μια ιδιαίτερη ικανοποίηση. Είναι στην άκρη του χωριού Ζόλα σε ήσυχη περιοχή. House Rules Alexandros Maisonette takes special requests – add in the next step! Alexandros Maisonette accepts these cards and reserves the right to temporarily hold an amount prior to arrival. Please inform Alexandros Maisonette of your expected arrival time in advance. You can use the Special Requests box when booking, or contact the property directly using the contact details in your confirmation. As Dimitris/Cleopatra were always looking to help us with anything they could ( Dimitris arranged our car hire for us! and it was top draw!) but more important than that was the way they allowed us to do our own thing, which is what we like to do best. Cleopatra's cooking is very special and if you get the chance ask her for some of her lemon cake!! Every morning the sun pops its head over the mountain range in the distance about 6am and shines into your bedroom to say good morning! Very few mornings did not find me sitting out on the balcony with my 1st brew soaking up the pure joy of the place!